With only 137 examples to be built this year, it may be a while before you get the chance to hear the new Ford Shelby GT350R Mustang clear its throat. Fortunately the boys at the Blue Oval have got that part covered, at least in part, with the release of this video. The short clip is only 25 seconds long, but shows the new track-tuned pony car revving its 5.2-liter V8 heart away on the track. And with output in excess of 500 horses and 400 pound-feet of torque, boy can she sing. This isn't actually the first time we're hearing the new GT350 kick over altogether, but the previous video was taken down shortly after it went up – and that was for the non-R version anyway. 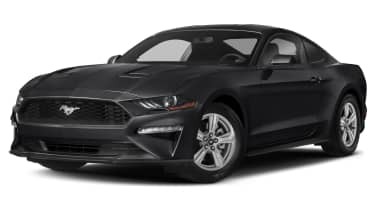 This, then, represents the first time to hear the new top-of-the-line pony car doing its thang, and we hope it'll stick around long enough at least for you to get an ear-full. So turn up the speakers, sit back, and hit play to hear the soundtrack that no artificially amplified turbo four will ever manage to replace.